Thank you in advance for supporting BASH by preparing a gift basket for our silent auction! We've made it easy and fun for you. Here is a list of basket ideas that we would love to have for the silent auction. Or, feel free to come up with you own basket idea. It's very simple...you can either make the donation by yourself or with a group of friends. 1) Simply sign-up for the basket of your choice. Or, make a cash donation and we'll assemble a basket for you! Price range of each basket should be between $50 and $150. 2) Once you've signed up, watch for an email asking for additional information about your basket including a description, value and donor information for the catalog. 3) Purchase the items you need to fill your basket. 4) Prepare / put together your basket...or we're happy to do that for you. 5) Drop off your basket to the advancement office at Prep by Monday, March 11, 2019. 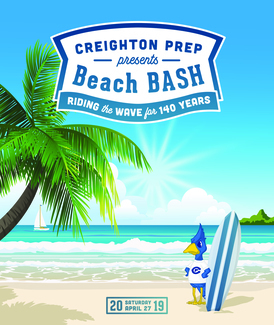 Thanks again for helping to make BASH a huge success and for supporting the students at Creighton Prep.